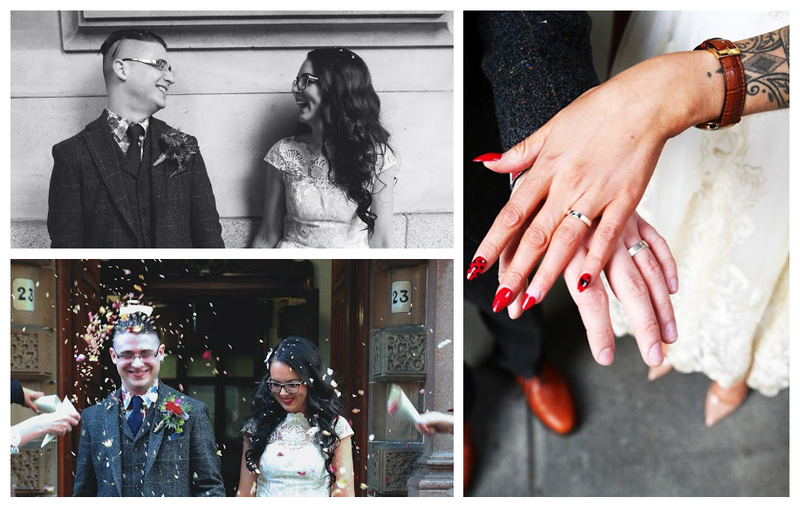 “We arranged a simple ceremony at the Registry Office in Glasgow with immediate family and a few close friends (who feel like family), followed by a dinner and drinks at the Grand Central Hotel. The hotel appealed to us because of its character and the restaurants amazing hospitality. Our wedding wasn’t very conventional. Everything that could go wrong did go wrong. I ripped my dress when I was putting it on, forgot to take my beautiful bouquet a florist friend made me and I arrived before the groom (he tells me he got stuck in traffic and wasn’t heading for the airport!). But once the ceremony started all the drama disappeared and the day was truly magical.